OUR FARMERS MARKET IS NOW OPENING - TUESDAYS AND THURSDAYS FROM 8-2. PLEASE SUPPORT OUR LOCAL FARMERS AND CRAFTERS. NEW MARKET INFORMATION COMING ASAP!!!! 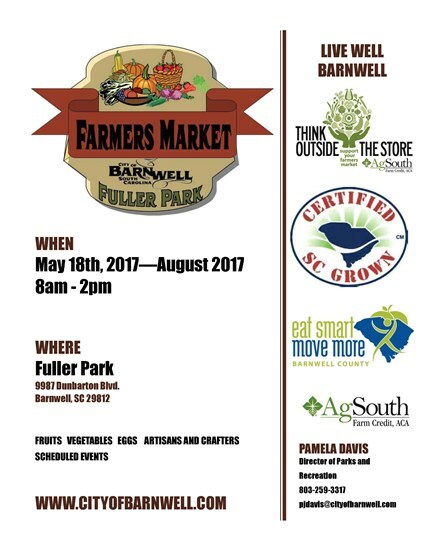 Check out the new Eat Smart Move More Barnwell County Chapter Website!